When setting up an online business, one of the first things you have to deal with is how payment processing will work in your online store. You start wondering which payment methods to accept, how will you receive the money, if you will have to hire a local payment processor, and so on. And let’s face it, payments are a really important part of any customer’s shopping experience. With that in mind, your ecommerce payment strategy must be side by side to your marketing strategy, and must definitely not be handled as a secondary step. That’s because, even though ecommerce industry grows exponentially every year, there are still people who don’t trust online shopping. One of the main reasons for that is fear of losing money in fraudulent operations. See the importance of having a solid payment strategy? We get that payments can be a bit confusing and require a significant amount of technical information to assimilate, but understanding how the whole payment process works is essential if you want to be more assertive and make the smartest payments decisions for your e-commerce. In this text you will understand the fundamentals of payment processing for ecommerces. So, let’s begin talking about the concept of payment processing. Take it easy, we’ll explain it all. How do Ecommerce Payments work? There’s a lot going on from the moment a consumer clicks to buy a product on your website to the final act of receiving the money into your bank account. In online payment processing, the operation resides under the responsibility of a payment processor, which is a third company that handles transactions between a merchant (a business) and a customer. To put it simply, payment gateways allows funds to be retrieved from the customer to the merchant through a secured portal. The customer navigates through your website, finds an awesome product and clicks to buy it. The customer selects which payment method he would like to use to pay for the purchase. Depending on the option, your payment gateway will collect the customer payment information and verify it. However, for this whole process to happen in your store, you have to go through some steps first. If you want to sell online, you will need a merchant account, which is an account that holds the money collected from your customers before the processor sends it to your chosen bank account. You can get it either by opening one on a bank or by choosing a payment processor that provides you with both the account plus merchant services, a complete solution which, among other things, includes: getting transaction authorization with credit card companies, collecting funds from the customer’s bank or other financial institutions, and sending you the payment. If you don’t have a bank merchant account yet and opt for hiring a payment processing company, they will set one up for you and provide your website with a payment gateway. 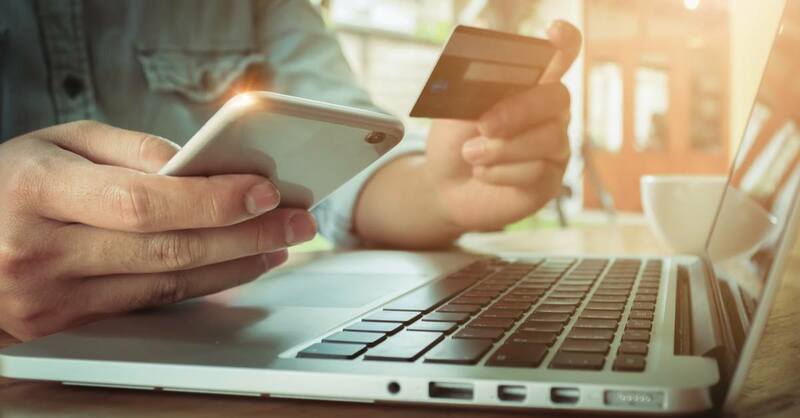 Selling online requires more than just having a payment gateway collecting money from customers and transferring it to your merchant account and then to your own. Your website needs to be fully optimized for online shopping, allowing customers to navigate, select products and buy them. And for that you need an ecommerce or shopping platform that can be integrated with a payment gateway to enable ecommerce transactions. So, if you’re starting from scratch or thinking about changing your platform to one that offers integration with a processor, take a look at WooCommerce and Magento, these leading ecommerce platforms support several payment gateways and processors. As we could see, payment processors are companies that enable businesses to receive online payments by providing a connection to the financial institution. But, these processors also perform many other functions. Payment processors verify the validity of credit card transactions using anti-fraud solutions and following standards set by credit card associations to authorize payments, they fight chargebacks and disputes for you (which happens when a customer claims he didn’t make a purchase and wants the money back), and usually provide you with Customer Support. What countries are you aiming to reach? Do you have a digital or physical good? Will you need recurring payments? Do you need a checkout page? Do you offer tailor-made services? Can they integrate with your website platform? How fast is the set-up? How fast can they can make funds available? What is their processing time? Do they offer additional benefits? What are their antifraud tools (if any)? What Are the Costs for Your E-commerce? Concerning that last item, there are many options of payment process fees in the market, so you will have to do your research. However, be aware that they are many hidden fees, or “interchange fees” that are not explicit in the main pricing. Of course, each payment processor has its own rules when it comes to fees. Here at EBANX, for instance, we don’t charge an annual or monthly fee, with the merchant paying only for the transactions that are made, a minimum monthly or termination fees. Look for payment processors that offer negotiable fees according to how much you process monthly rather than one that gives a one-size-fits-all solution. This will help you get the best deal that meets your store necessities. That said, pricing alone should not be the key criteria for selection. Consider other aspects of their service such as making funds available quickly, batch processing times, and customer support. Your business goals will determine which payment methods you should accept. As a general rule, credit and debit cards are the most popular option for any ecommerce. However, as we said in the beginning of the text, your payment strategy must be very well-thought and consider all elements of the market you’re selling to. For instance, if you choose to expand globally, you will most likely need to offer local payment methods and search for a local partner to accept domestic cards. If you’re selling digital goods, e-wallet is an essential method to offer. That’s why a complete study of consumers habits is required for you to be able to reach the majority of the market. You can’t run from credit cards, they are the most used payment method in e-commerce. The verification and transfer requests are handled entirely by the payment gateway, which gets in touch with the card issuer to authorize transactions, encrypts card information and deals with security matters, preventing and fighting frauds. There is a variety of credit card flags and what will determine which of them your store will accept is the payment processor you choose. Typically, Visa and Mastercard are the most accepted, followed distantly by American Express. Before closing the deal with a payment processor, research which cards are accepted to check if they align with your strategy. E-wallet is the payment method that grows the most around the globe. According to The Sun, global mobile wallet transactions were valued more than U$500 billion in 2016 and are expected to reach more than U$3 trillion by 2022. As the name says, it works like a digital version of a wallet, where customers can safely register their cards online and pay for their purchases in one click. More and more ecommerces are offering this method of payment, specially because of its easy integration and real time authorization. Bank transfer is a common option among customers who don’t own a credit card or don’t feel confortable giving credit card information when online shopping. According to WorldPay, global transactional value of bank transfers in 2012 was of $122 billion, a 7% share of the payments market. By 2017, the volume is expected to grow to $245 billion. There is no possibility of chargebacks. If you’re thinking of going global with your ecommerce, you need to consider offering your customers cash payments. Emerging countries usually count with low bancarization levels and low credit card penetration. This kind of method works in a very simple way and has as advantage the fact that there are no chargeback or fraud risk. Examples like cash payment methods worldwide are: Boleto Bancario, in Brazil, OXXO in Mexico, Sencillito in Chile, and the list goes on. As we could see, payment processing is essential to your online business success, so take some time and do your research. Study your market, identify your customers’ needs, educate them and then design your business model accordingly, always putting payments in the same level as other factors such as marketing and logistics.